I talked last week about not having enough time to play all the board games I wanted to play. Such is the imbalance between playing time and board games we have yet to play, that we have had to put a moratorium on buying any more board games It’s not going to last, of course. In fact, if you saw how excited I was that the makers of Star Realms have a Kickstarter for a new card game, you’d know that it’s not even going to be adhered to while it lasts. But it’s the thought that counts, and moratorium is too good a word not to use. Even if it is essentially meaningless, in this instance. 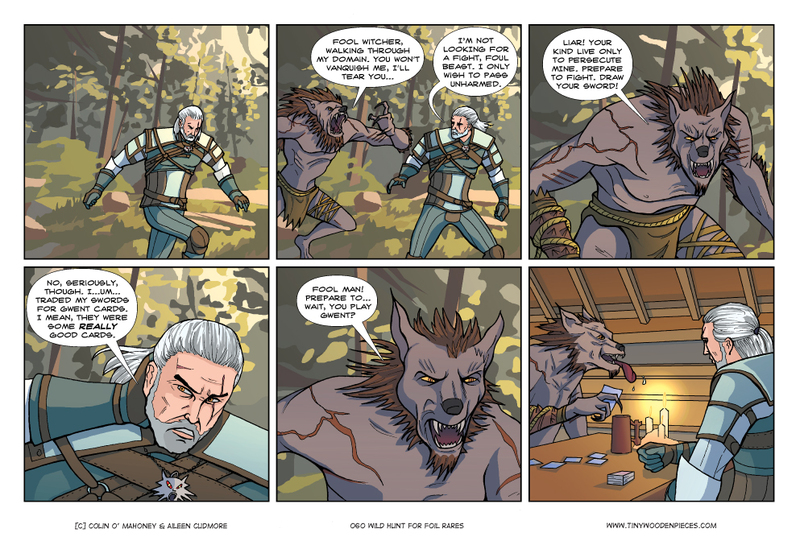 Gwent, for those unfamiliar, is a collectible card game available to play, and of course, collect, in The Witcher 3. Collectible card games can be expensive, and time consuming. In the strict confines of an already-paid-for video game, the expense is removed from the equation. But with a huge map to uncover, players in every town, and 150+ cards to find, the time cost is as tangible as if the game were a real, cardboard, sleevable thing. I would love to play The Witcher. By which I mean, I would love to play Gwent. But when this particular card game is merely one small part of a massive roleplaying game, a single element of its play, you might begin to see why I led with talking about the limits of time. For now, my console play time leans more towards the kind of game that can be played in short bursts – Mortal Kombat, Plants Vs Zombies, NHL. Short, non-brain-intensive bouts of play, that mostly can be played with other people. Be that with Aileen on the couch, or against seemingly endless hordes of adolescents with seemingly endless amounts of time on their hands in PvZ. I skipped a generation of video games, and in that time online play took over. Online shooters have never been my thing, as the frustration inherent in trying to catch up proves too much. In Plants Vs Zombies, though dying 25 times in the space of say, 7 or 8 minutes is mitigated by the utter, adorable, cuteness of it all. The hilarity of a chirping, cartoonish sunflower blasting a shuffling caricature of an undead quarterback off a building takes the sting out of the experience. And experience is now key. With Star Wars Battlefront on the way, I need to spend enough time with online shooters that when Battlefront lands, I won’t be so frustrated with it that I trade it back in an hour and a half after buying it. And by trade back in, obviously I mean throw out the window. I have to make up for lost time, and PvZ is an idea starting point. I’ll eventually graduate to Battlefield 4, but honestly, I’ll have a hard time leaving those crazy zombies behind.